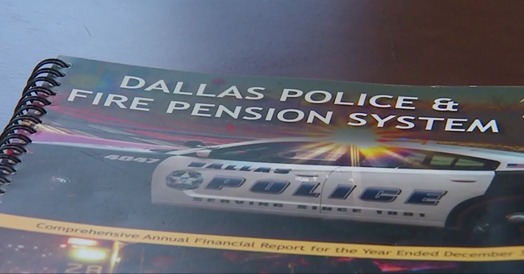 The Dallas City Council unanimously approved a resolution Wednesday laying the ground work for legal action against the failing Dallas Police and Fire Pension Fund. News 8 has learned that four city council members will likely file a lawsuit against the pension system contending, among other things, that it is violating its fiduciary duties by agreeing to release money held in high-interest savings accounts known as DROP. Earlier this month, all four council members who sit on the board – Erik Wilson, Philip Kingston, Scott Griggs and Jennifer Gates –voted against the board’s plan that would create an orderly withdrawal process from what’s known as DROP – or Deferred Retirement Option Plan — accounts. These are special high-interest savings accounts and a big reason the pension is going broke. The fund has a nearly $4 billion shortfall.